For the discerning buyer looking for location, condition, and amenities this property checks all the boxes. 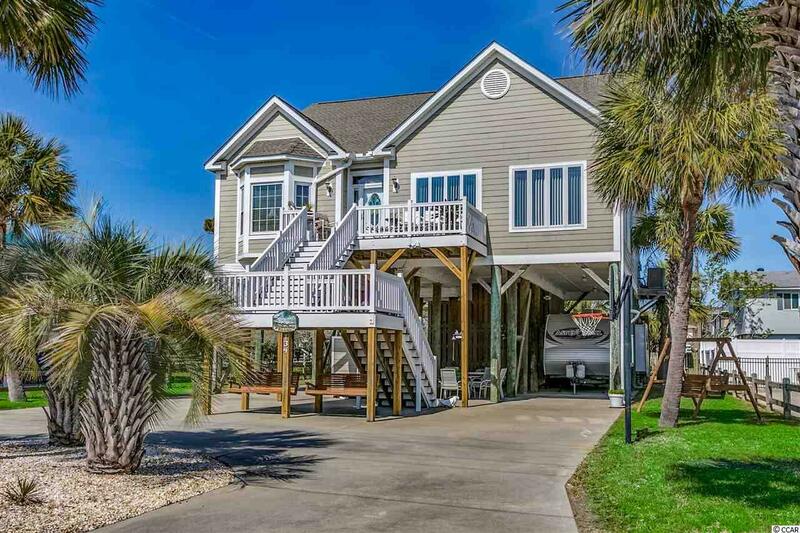 134 Cypress Avenue is not only a beach house, itâs a home, and youâll notice the difference. Located 400 feet from one of the most beautiful stretches of beach along the Grand Strand in Garden City Beach, this four-bedroom, 3.5-bathroom, custom constructed home with 3406 heated square feet is not a rental property, and it shows in its condition. The main level of the house includes a flowing floor plan with the living room, dining room, family/game room, kitchen, laundry, half bathroom, and master suite. All the living areas have five-inch-wide and Â¾ inch thick hickory wood floors. The kitchen, bathrooms and laundry room have tile floors, and the bedrooms have carpet. The updated kitchen has solid maple cabinets, granite countertops, and stainless steel appliances. The master suite has an ensuite bathroom featuring twin walk-in closets, two vanities/sinks, whirlpool tub, and separate shower. The game room features a wet bar and eight-foot one-piece slate pool table. Upstairs there are three more bedrooms all with ensuite bathrooms, a bonus room off a bedroom and attic storage galore. The property is situated on a large lot with room for a pool, includes two outdoor showers and a toilet, two storage rooms and a large workshop, 17-foot ceilings with adequate space to store all your toys and has a 30-amp dedicated motorhome power supply. There is a large sundeck off the kitchen with views of the marsh and leads to the private backyard and hot tub. The front porch has two levels with limited views of the ocean. The landscaping is generous but low maintenance. The construction of the home is superior to any local codes. It was built to last and shows owner pride inside and out. 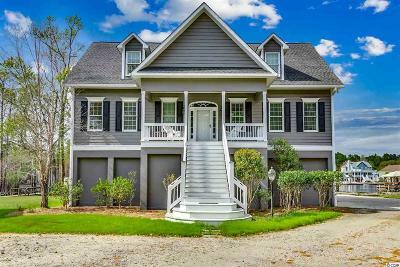 Whether you're looking for a primary residence, second home or vacation rental make sure you check out this excellent example of craftmanship. Garden City Beach is a small traditional beach community with a fishing pier, restaurants/shops and is convenient to everything including the Murrells Inlet Marsh Walk, Marlin Quay Marina, Brookgreen Gardens, the attractions in Myrtle Beach, shopping, golf courses, fishing, boating and more. Feature list, survey, insurance declaration pages and sellersâ disclosure are available upon request. Directions: Highway 17 Business To Cypress Avenue, Go .9 Miles, Homes Will Be On Your Left.